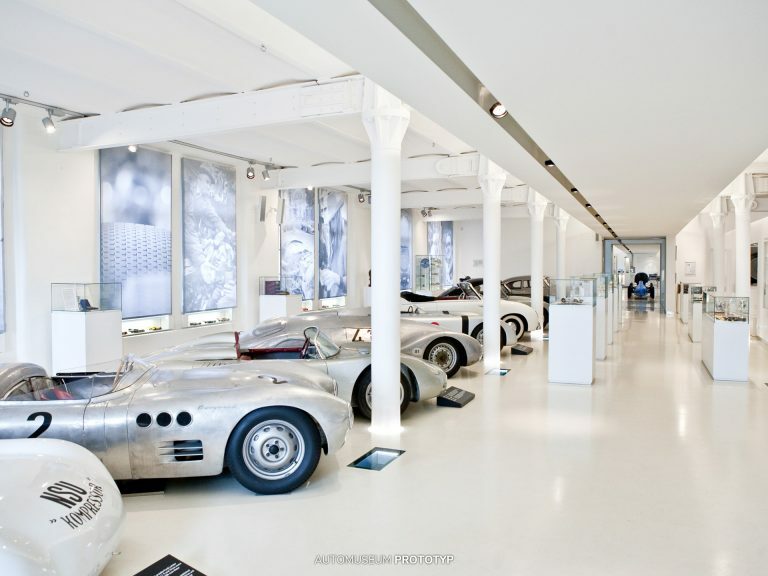 The motivation for founding Automuseum PROTOTYP lies in the passion and fascination that we felt towards the aesthetics, design and history of vintage cars. We wanted to share this fascination and emotion, which drove us to set up our own prototype of a car museum (hence the name of the museum). A visit to the museum is an all-embracing experience: the roar of the engines in the “walk-in” audio box, the sensation of being a race car driver in the Porsche 356 driving simulator, the chance to view documentary films in the museum’s cinema, and an experimental opportunity to find out more about aerodynamics in our miniature wind tunnel. There is also an interactive library with digitalized photo albums of former race car drivers, supplemented by a great quiz for kids, in addition to many exhibits from 80 years of automotive history. Here you find more impressions. We see ourselves as a protoype of a car museum (hence the name “PROTOTYP”). Since our opening in 2008, we are taking a new approach in the way we present things, namely by focusing on the connection between people and technology. With great attention to detail, we work on the optimisation of our museum prototype both independent of any brand and without receiving any state subsidies. The exhibited vehicles are all unique in their own way due to their individual history and in some cases even real prototypes. The term “PKW” – namely passenger car in English – is losing its use in the German language. The literal meaning of this abbreviation is, however, for us essential. It serves as our motto: “People” stands for all those who first made these cars possible and who contributed to writing their history. 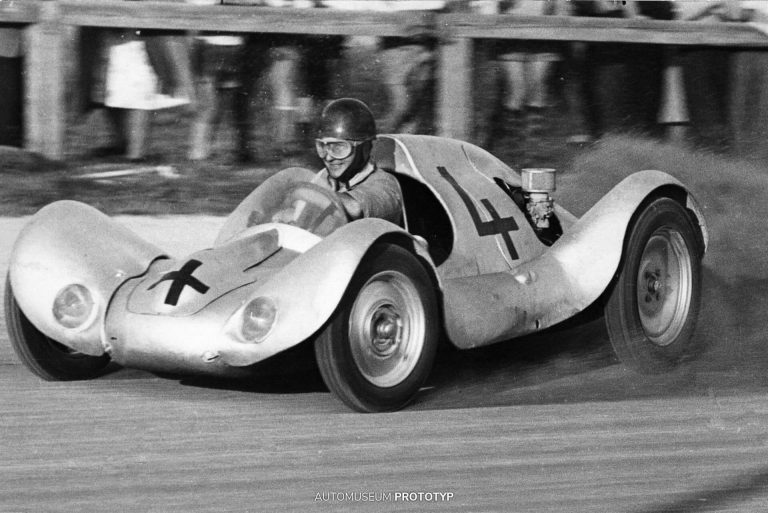 Among these personalities is the famous automotive engineer Prof. Ferdinand Porsche as well as race car drivers Otto Mathé and Graf Berghe von Trips. “Power” creates the connection between the power of the engines and the passion, willingness to take risks, creativity and the dedication of car enthusiasts. “Cars” focuses on the consummate design and the art of engineering of the sports and race cars on display. As early as 1836, a factory was built on this site – a rampart in front of the former city fortifications. From 1855, hard rubber was produced here for the first time in Germany – after Charles Goodyear’s vulcanization patent. 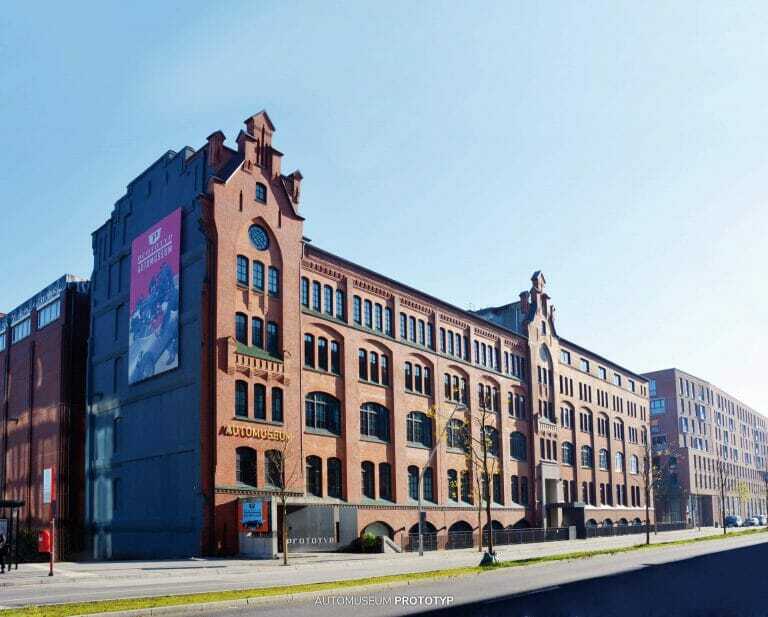 Between 1902 and 1907, the factory building – which today houses Automuseum PROTOTYP – was built for the hard rubber company “Kautschukwerke Dr. Heinr. Traun & Söhne vormals Harburger Gummi-Kamm-Compagnie”. After World War II, the building was rebuilt until 1951 and was home to the company “Graphische Kunstanstalt Schultz”. The building has been a listed building since 2004.